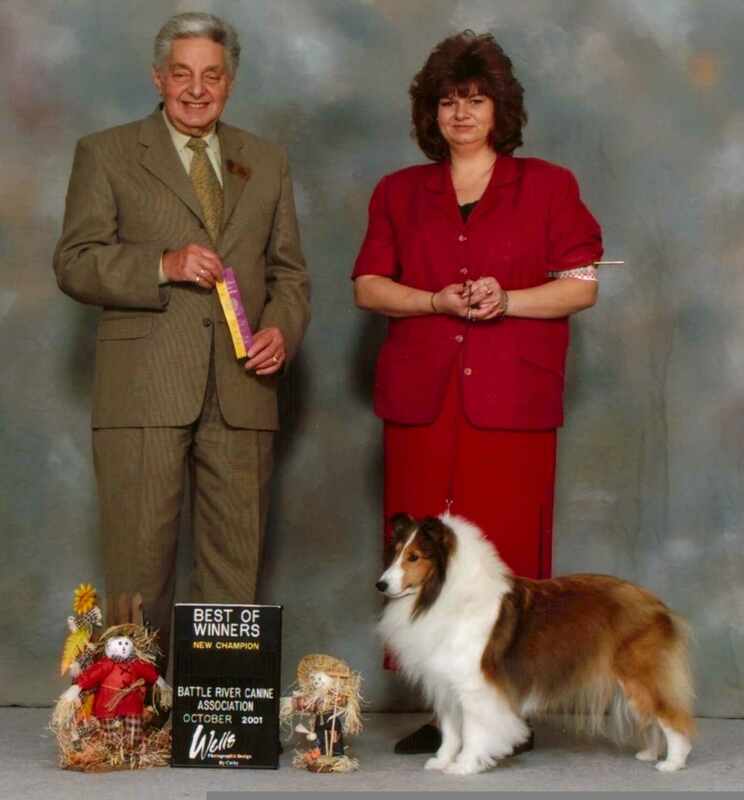 Kimmie wins runner up in Veteran Sweepstakes at the SSFC Specialty under breeder judge Joan Digweed on June 01st 2007. 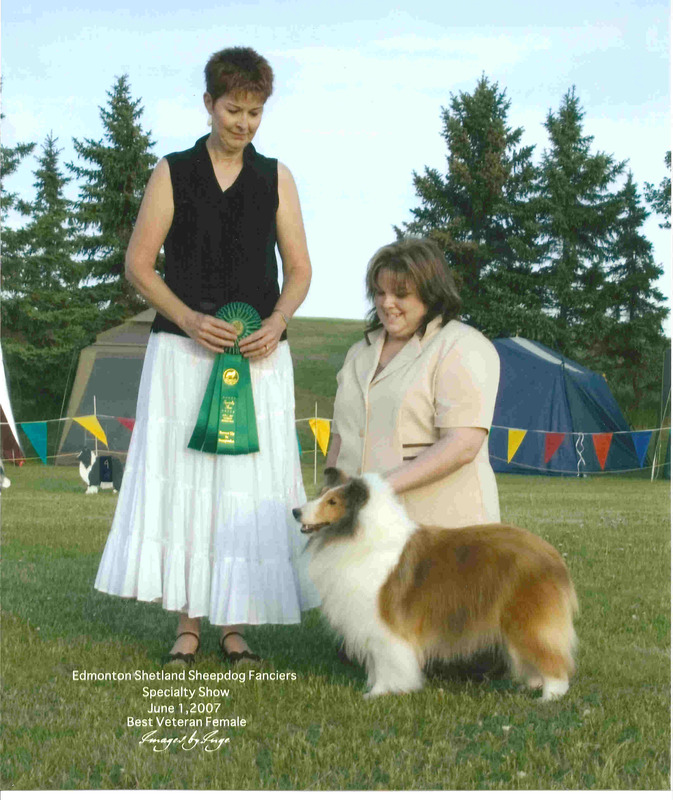 Kimmie is a 16" pure for sable lady and she loves the show ring. 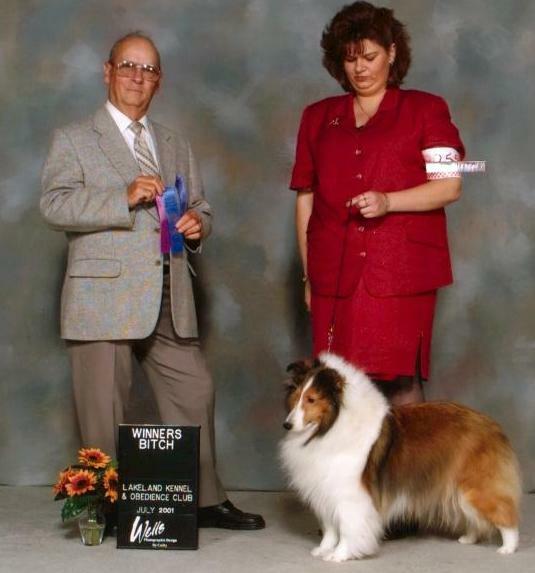 Kimmie reminds me of her great grandmother 'Bessie' as she excels in movement and showmanship. Kimmie passed away suddenly and we miss her terribly!